A chosen daughter of Maa Sarada. She is the rendition of epic Bharat. 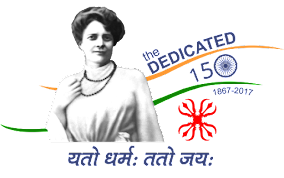 Nivedita is the perfect example of the highest order of spiritual perfection in practice.She is the prophet of the new order of development which the world will be compelled to adopt in the not so distant future.